With the 2016 World Series of Poker only a few weeks away, the WSOP has announced new promotions for the month of April that will help players to earn seats to the Colossus II as well as the Main Event. The Rio of Las Vegas will play host to the upcoming World Series of Poker, with players in Nevada and New Jersey able to qualify online for both upcoming tournaments. The Colossus tournament was a success last year when it took place for the very first time, having a buy-in of $565 and offering $5 million in prize money. Over 22,000 entries were made in the event and the first place winner earned over $600,000 for outlasting the field. This year, the event will provide $7 million in guaranteed prize money and see the winner earning over $1 million. 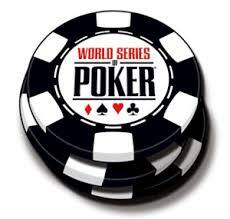 Players can compete from now until the 24th of April with qualifiers taking place via WSOP in Nevada and New Jersey. In New Jersey, players will find the qualifiers running at 6pm with a $20 buy-in and one $1,165 package to the event on the table. In Nevada, players can compete at 4pm for $10 to earn two seats up for grabs with a $20 qualifier running at 6pm that will guarantee one seat. WSOP is also offering qualifiers for the Main Event, having started running the option in March, and now added even more choices. These qualifiers will run on Saturdays in Nevada and on Tuesdays in New Jersey. These are just a few of the current promotions players will find at the WSOP. From qualifiers for the upcoming WSOP to freerolls and specialty tournaments, WSOP offers a great deal for online poker players to enjoy. For the WSOP qualifiers, players still have a few weeks to participate and hopefully earn a seat to the Main Event or the Colossus II.